At Colorado Springs Car Transport, we give you auto shipment services like no other. Getting your car shipped with us is simple. No hassle, no extra costs, no stress. All it takes is one phone call and we will do the rest. Our agents are carefully chosen and trained to give you the best service. We have a long history in auto transportation and experienced drivers who make sure your car is safe and secure during the shipping process. We make it easy for you so you can set up your shipment and delivery date in just minutes! You can request a free quote online or by calling our office. Once you set the date and time for pickup and delivery, you are set! But, there is more! Enclosed car transportation is also highly requested, but usually more with luxury cars or brand new cars for maximum coverage and safety. If you’re in a hurry, you can count on us to get your car where it needs to be. With our expedited car shipping option, you can have your car delivered as soon as you need it. You can choose whichever one fits your preference and we can help you with suggestions as well. Our rates for auto shipping will surely please you! We work hard and try to offer some of the lowest prices in the industry. If you’re a student moving to college, or a veteran who serves our country, the least we could do is make auto shipping easier and cheaper for you! That is why we offer discounted prices for students and military citizens. 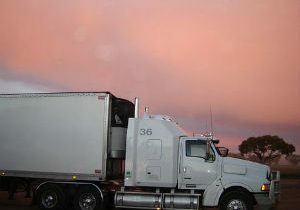 Our auto transport company works with all kinds of vehicles, not just cars! We’ll be able to ship whatever type of vehicle you have. Browse our website to find out more about the services we offer or call our office and our agents will assist you. The most popular method of Colorado Springs Car Shipping is Open Car Transport. Enclosed Auto Transport is great for exotic or classic vehicles. But majority of car transport clients prefer Open Auto Shipping. While still safe and reliable.